Home › About Us › Greg Lougheed Bio. Greg Lougheed engineered the SunFish Solar Systems, including the tracking device. 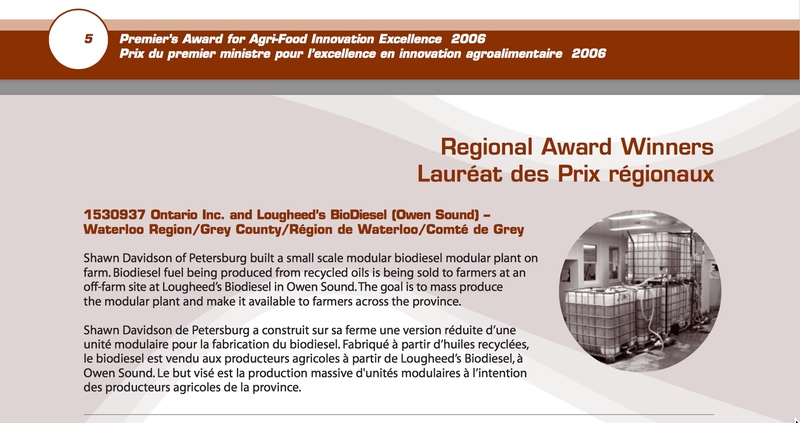 His green-technology experience includes developing the Lougheed Bio Diesel Reactor system, which won a Premier’s Award for Research Excellence in 2006. Lougheed Bio Diesel technology is currently being applied at Guelph University. Greg has been developing SunFish Solar’s cost effective systems for the past five years. If I build a 1400 Sq foot bungalow. How much roughly all in to install off grid solar system. I have a decent sized generator for back up plus central wood stove. Do you power in floor heating with solar as well? How many amps for off grid around 100?